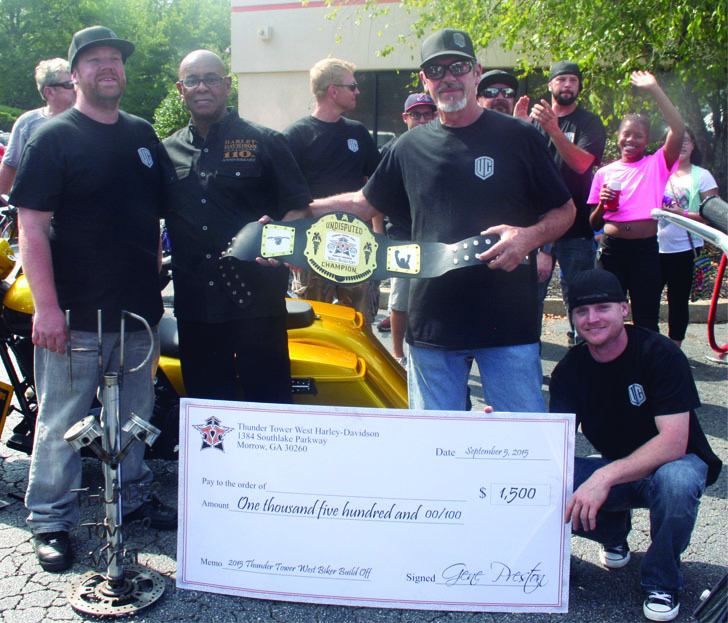 Thunder Tower West Harley-Davidson in Morrow, GA pulled off a unique event to prove that it is truly a new day and a new dealership. 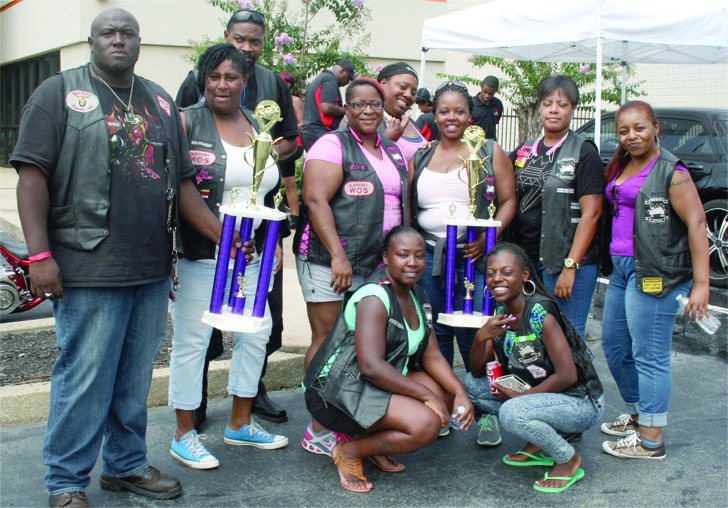 On Sept 5 they hosted the inaugural Custom Bike Build-Off, a competition among a select group of builders all starting with same type bike and budget. With a parking lot full of vendors, delicious food trucks, and a sound competition, it made for a great event. Five identical Police edition Road Kings were used for the competition. One was kept at Thunder Tower West (TTW) for their own build, the others went to RFL Customz, Bald Head Customs, Unknown Customs and Twin Piston Customs. Each was given a $6000 budget to use through the TTW Parts Department. The parts could be ordered from any vendor as long as they were ordered from TTW. There was no limit on additional monies each builder could add or on donated parts. Since I was judge in the competition this is one rule I’d like to see more defined for future competitions. The TTW bike was not allowed in the judged category but was allowed in the People’s Choice. It was unanimous from the judges as well as the people’s votes with Unknown Customs winning in both. The shop was awarded $1500 and a huge custom built trophy for winning the judges category. For the People’s Choice there was an awesome custom belt, like a wrestler’s award. The Sound Competition winner received a similar belt. A Gold Wing was set up in the back lot where for a few bucks you got a swing with a sledge hammer or ax. No matter what you ride it’s kind of tough to see a bike smashed to pieces. 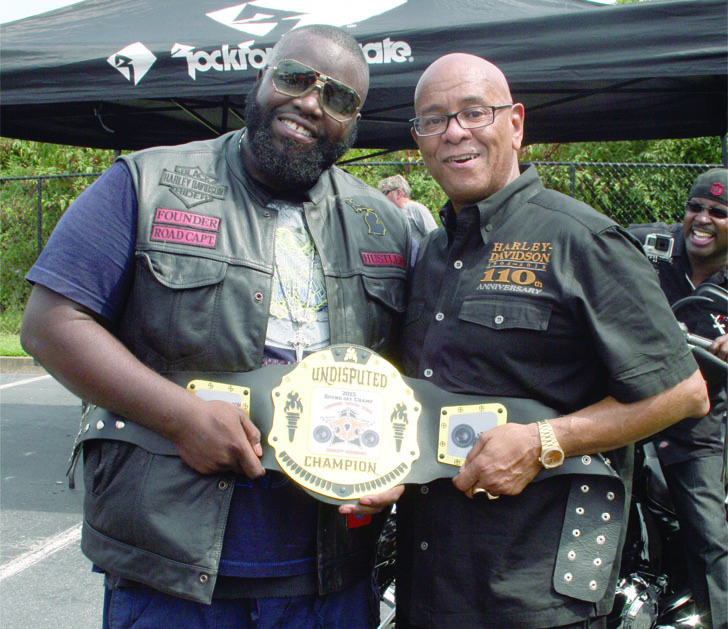 The BIKE BASH proceeds went to Children’s Healthcare of Atlanta. The other big hit of the day were the food trucks. Angelfire BBQ, Grubbin’ Out, Chamos Grill, Che Ox, Westside Creamery and Cousin’s Maine Lobster were busy all day. The lobster roll from Cousin’s Maine was fantastic. © 2009-2015 Southland's Full Throttle Magazine - All rights reserved.